Mother Earth Aromatherapy, has over 20 years of experience in design & product formulations. We would love to create your very own, exclusive range of quality ‘Natural Face & Body Care Products’ for your business. We like to work closely with our clients, creating & manufacturing to your specific requirements, resulting in a range that we guarantee you will love! We also have existing products called our ‘Short Run Concept’ which is an extremely viable & cost effective option to produce your own brand of products, featuring your company logo. We work closely with our clients, to design, create and manufacture to your specific requirements and needs, resulting in a range that we guarantee you will love! Mother Earth Aromatherapy offers your business the opportunity to have your own range of Natural Aromatherapy Body Care Products, featuring YOUR BUSINESS NAME, LOGO & DESIGN. Simply choose your products from our existing 'Short Run Range' range and forward us your business branding. We will manufacture your products and label them with attractive designs, ready for sale! Firstly you will need to determine exactly what products you require. This includes, active ingredients, sizes, containers and marketing approach. A Custom Design / Contract Manufacture Application, regarding your products will be forwarded to you and must be completed and returned to us, prior to our initial meeting. Once we have reviewed the application and if we think we can assist you, a meeting will then be scheduled. The meeting will be held at our ‘Aromatherapy Studio’, in South Fremantle. You will be shown our range of products, along with some samples of our existing Custom Design / Contract Work. We will briefly discuss and outline your range / ideas and will provide you with some products, for you to personally sample. After meeting with us and sampling our brand, you will then need to make a decision as to whether you would like us to continue with your design and manufacturing. If you choose to proceed and would like us to design and develop, a second meeting will then be scheduled. At this meeting, we will share our thoughts and ideas with you, to finalise the finer design details. You will be required to pay a design and Development Fee, per product and enter into a Confidentiality / Non Disclosure Agreement with our company. This agreement simply protects all information that Mother Earth Aromatherapy will be releasing to you. Once both parties have signed all documentation and the design costs are paid, we will then, proceed with research, design, development and quotation. In most cases, this is carried out within 1 – 2 weeks, depending on the number of products required and the complexity of the ingredients and design work. A third and final meeting will then be scheduled on completion of design / quote. We will provide you with your product samples / quotation and other relevant information. 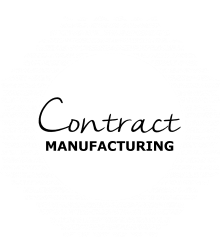 Upon sample approval you will then be required to enter into a Manufacturing Agreement. A written order along with a 50% deposit will also be required prior to commencement of production. All formulations created by Mother Earth Aromatherapy will remain the property of Mother Earth Aromatherapy and will not be released at any stage. Prior to quoting, your product must be created and a sample produced. A design and development fee of $275.00 per product, will be charged for this process, this amount is ‘Non-refundable’. To ensure your satisfaction, we will provide as many samples as required, until the desired results have been achieved. We like to work closely with our clients, to ensure that we are producing exactly what you want and that you are 100 % happy with your products, prior to production. We hold Confidentiality / Non Disclosure Agreements with all Custom Design / Contract Manufacturing clients. This agreement must be entered into with Mother Earth, prior to design and quote. The agreement does not commit your company to an order, it simply protects all intelectual property, technical information and ideas that Mother Earth will release. at your third meeting with us. The Information sheet will detail – active ingredients, packaging suggestions, sizes, benefits / research and directions for use. All samples and information released by us will remain the property of Mother Earth Aromatherapy and must be returned if Contract Manufacturing does not proceed. Our minimum run size is 150 units per product line. You will be required to purchase the entire batch of product, which may produce up to a maximum of 165 units per batch. Our ingredients are sourced mainly from local Australian companies, with integrity, who supply genuine, quality ingredients. Natural Skincare Products may vary slightly in consistency, colour and scent from batch to batch. The reason for this, is usually due to a new batch (harvest / yield) of raw ingredient. This may result in a slightly different colour, texture or scent, in comparison with the previous batch. This can affect the end product, however, the change is usually very minimal. Should you choose to use any 'Specialty Ingredients’, in your range eg: Argan Oil (imported from Morocco), your company will be required to purchase the product/s separately. This will obviously not be included in the product costing. To protect both parties, we will jointly be required to sign a Manufacturing / Production Agreement, prior to production. The terms of this agreement state, that the products will be exclusively manufactured by Mother Earth Aromatherapy, solely for your company and cannot be reproduced in any way. We have a range of glassware that we recommend for packaging. If you choose to use glassware / closures that you have sourced, we will happily assist with trials, to ensure that your chosen containers are suitable and seal tightly. However, we take no responsibility, for any problems that may occur. In the event of your company purchasing and supplying us with containers, they must be delivered directly to us and be fill-ready (all closures separate, removed from jar / bottle / tin). PLEASE NOTE: Mother Earth Aromatherapy will not package in plastic. All products designed and manufactured by Mother Earth Aromatherapy must adhere to the following labelling requirements on all product labels / boxes / containers / tins etc. Exclusively designed & manufactured for ___________ (your company name), by Mother Earth Aromatherapy, copyright. Natural products may vary slightly in consistency, colour & scent, may also contain traces of herbal extract. Full ingredient listing – All ingredients from largest to smallest amounts. In-house label application and packaging can be administered by Mother Earth, as an extra service. Labelling costs are $30.00 per hour. Our labelling / packaging team are efficient and precise. Please advise us if you would like your packaging carried out by us and we will include this, as an extra cost, in your quotation. We are associated with a label company, who specialise in short runs. We liaise closely with them to create logos, carry out design work / product labels. They produce excellent quality labels, which are available in full colour and can be of any shape that you require (without die costs). The label stock is uv / oil / water resistant and available in satin gloss (matt finish look) and standard gloss. Samples of our joint work can be viewed at our initial meeting. If required we can organise a separate quote for this extra service to produce and supply your product labels. A Consultation Fee of $30.00 per hour will be charged, by Mother Earth Aromatherapy for any extra services, which include - sourcing specialised ingredients / packaging, liaising with graphic artists and printers. DESIGN & FORMULTION: between 1 – 2 weeks, dependent on the complexity of the formulations, utilising standard raw ingredients. If you require specialised Ingredients or containers, that you have instructed us to source, please allow up to 1 month, allowing for delivery of goods. PRODUCTION: After a written order and 50% deposit of total cost has been received, completion of the final product/s will take up to 4 weeks, dependent on the amount of lines in your range and allowing delivery time for specialised ingredients / containers, if required. FREIGHT: For local customers in Western Australia, we prefer, products to be collected, by you, from our Aromatherapy Studio. We would like the opportunity to show you your range and discuss any issues or questions that you may have. For Eastern States / Country clients, if you require us to send your goods, they will be packed for shipment, however the costs of freight will be your responsibility. We recommend that insurance is taken out at time of booking / making transportation arrangements. CHARGES: All prices quoted are without GST. This is a standard 10% which is added, onto the end of all invoices. PAYMENT TERMS: All contract manufacturing is C.O.D; Mother Earth must receive payment prior to goods leaving our business premises.